Monday night we hit Gio’s family restaurant, Q4 Al Centro. 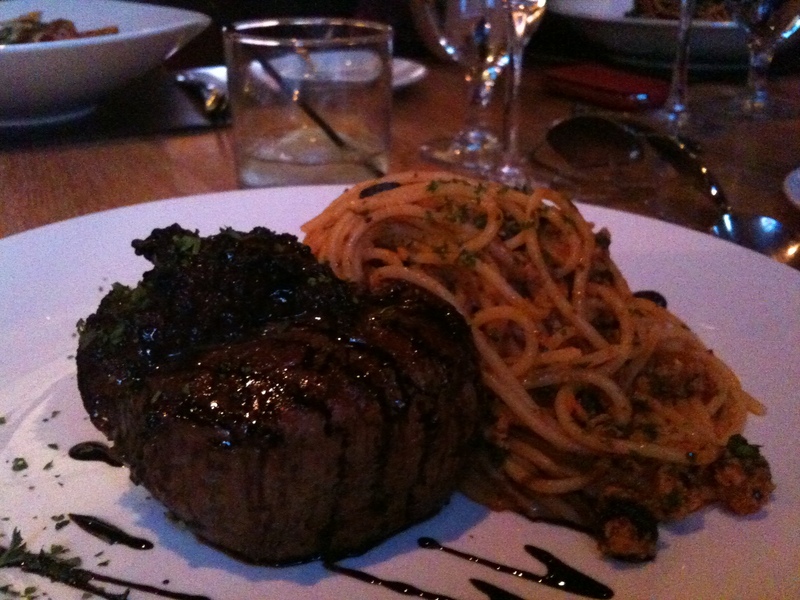 I couldn’t decide between the Tenderloin and the family-recipe Spaghetti; so they gave me both, or course. Amazing food, wine, desserts, service and ambiance. An all round perfect Italian; and if you go – I totally recommend the Spaghetti – it’s crazy good. 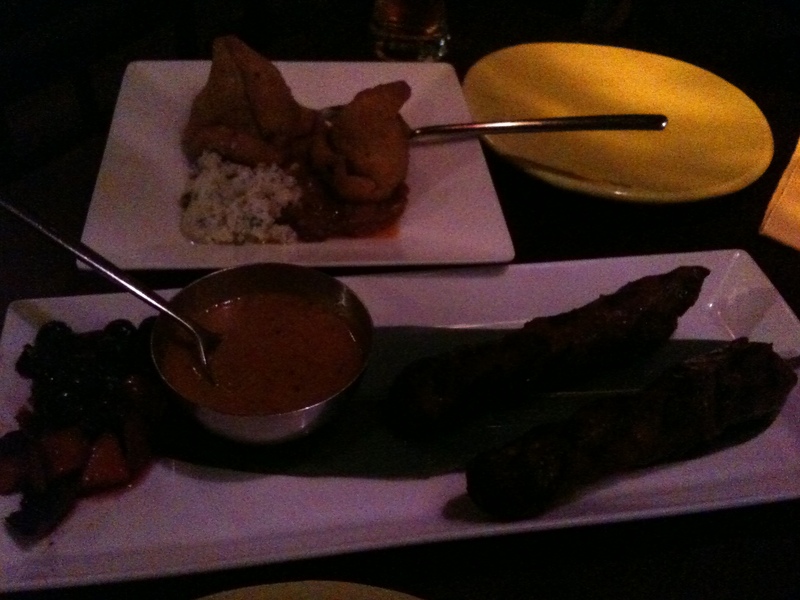 Saturday night I hit Vij’s with Raj. Damn, what a great place, one of the nicest, most original indian meals I’ve ever eaten, but still with a strong sense of authenticity. The restaurant does not take reservations and a 2.5 hour wait is usual; we wandered off to review a couple of local pubs and work on our appetite. If you get chance to visit this place on your travels to Vancouver, it’s worth it.